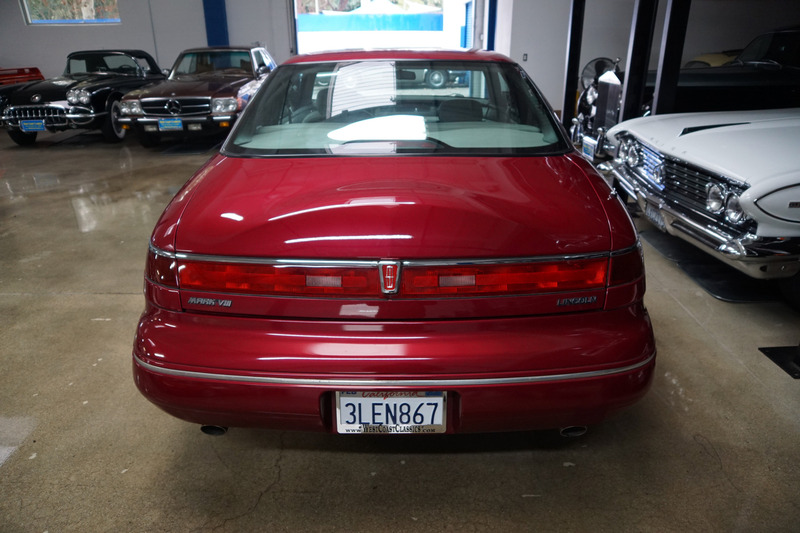 West Coast Classics are proud to present an absolutely stunning and exceptional example of this original southern California one owner car since new until late last year 1995 Lincoln Mark VIII 4.6L 4 Cam V8 Coupe with an extraordinarily low 21K (yes, twenty-one thousand!) 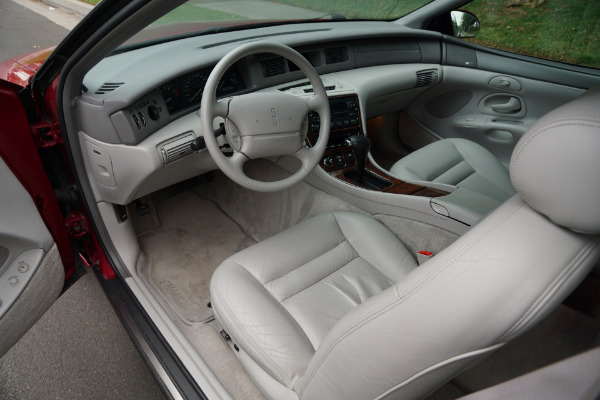 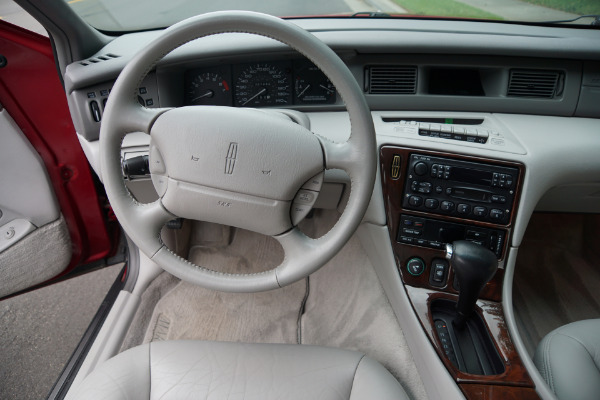 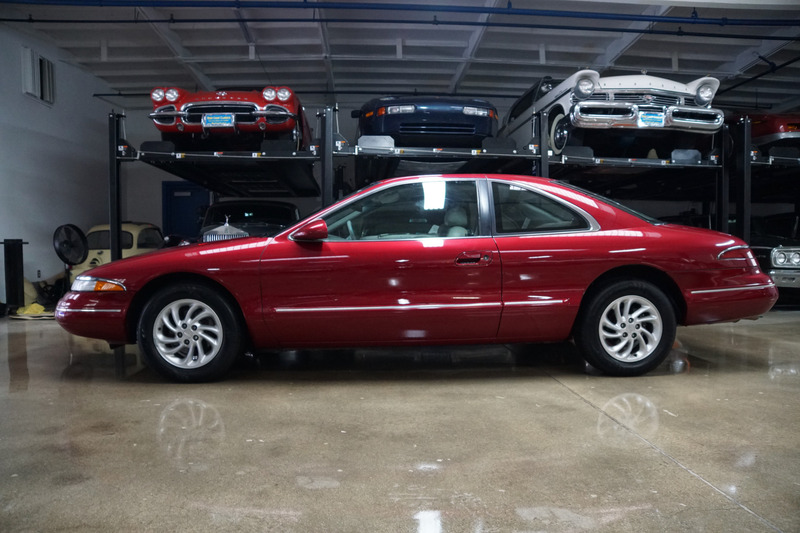 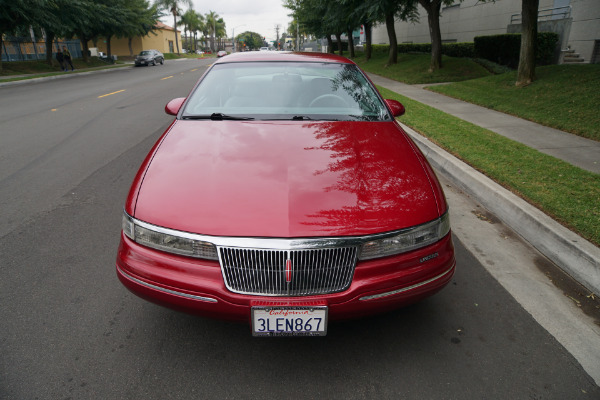 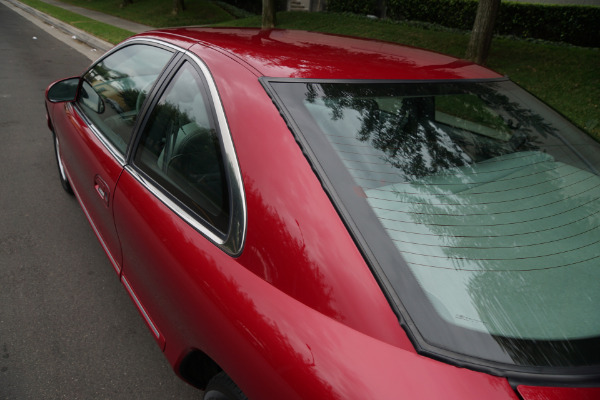 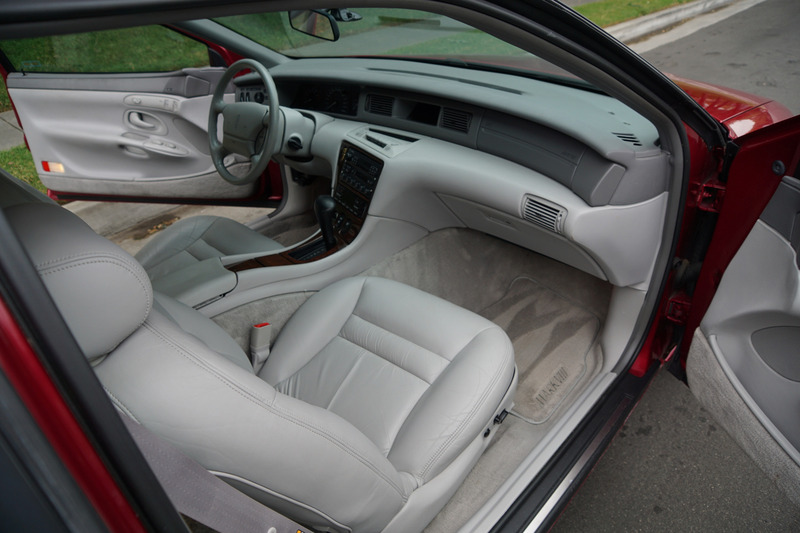 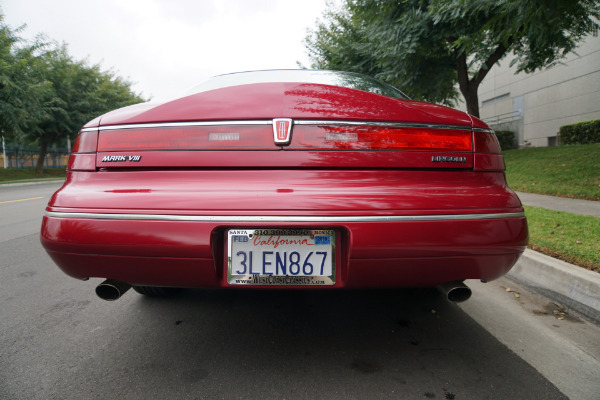 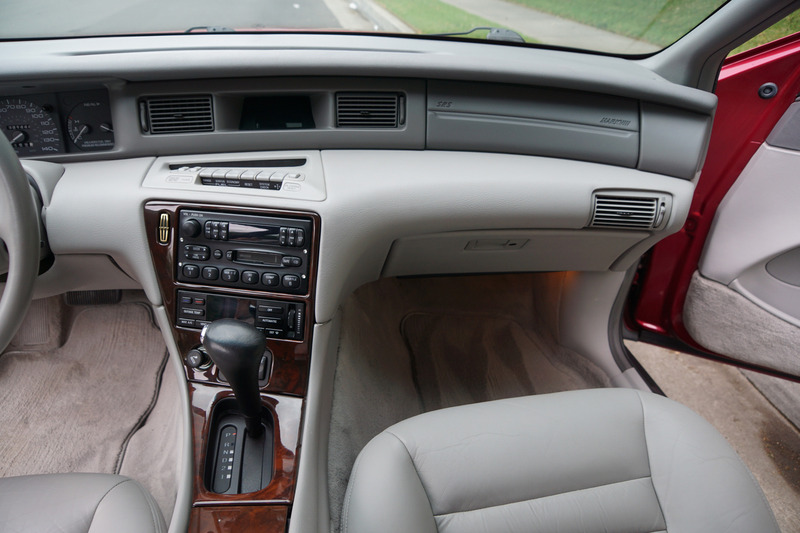 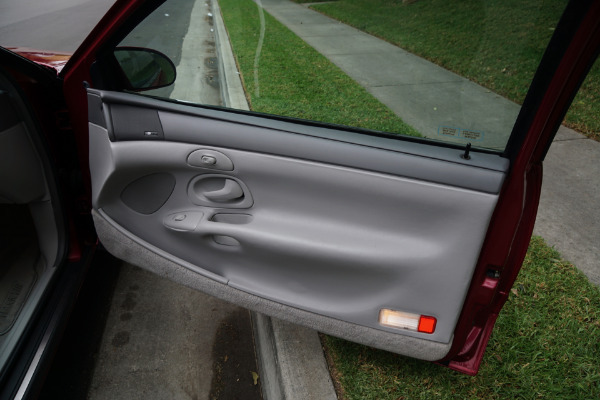 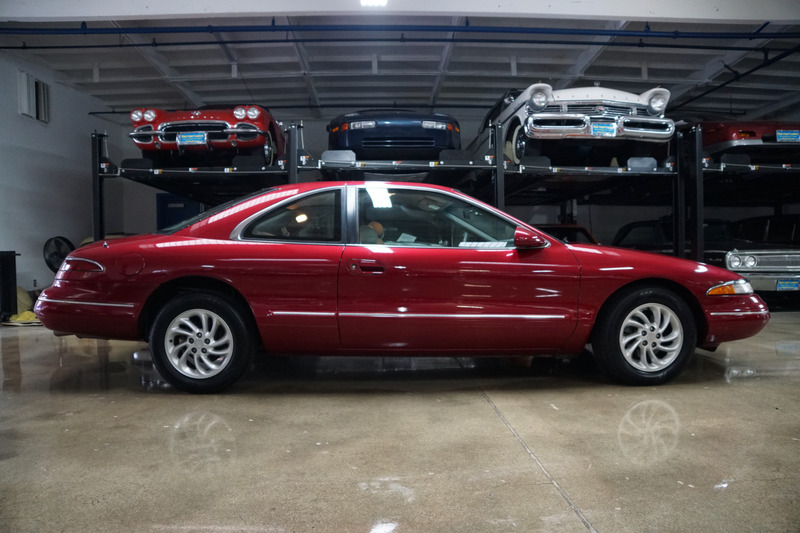 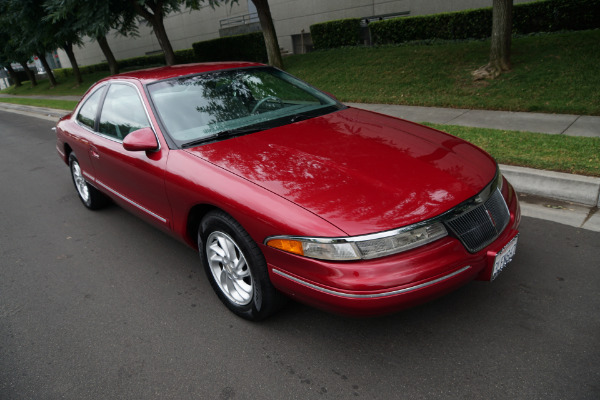 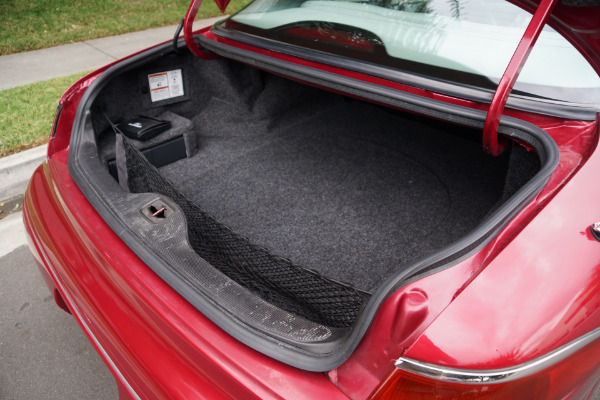 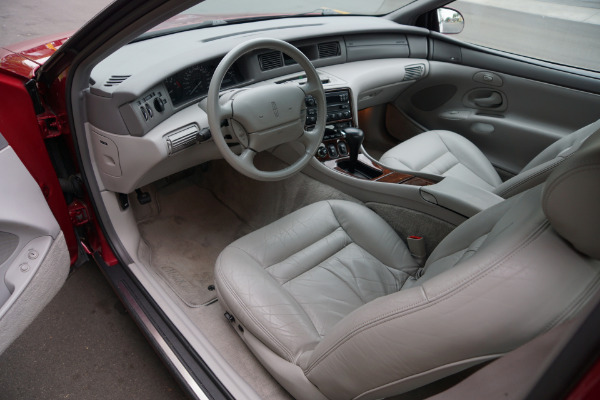 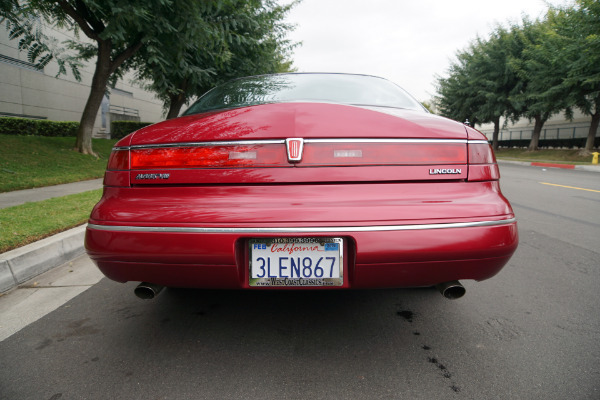 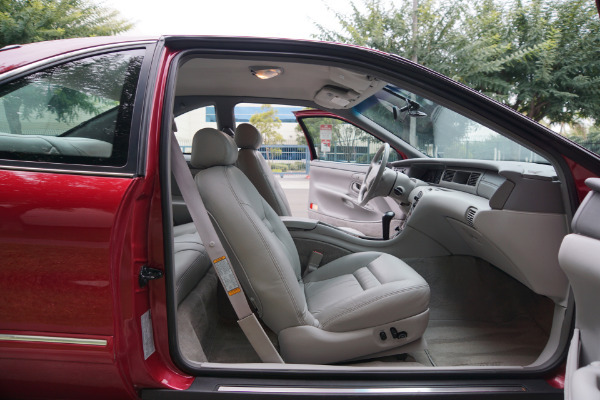 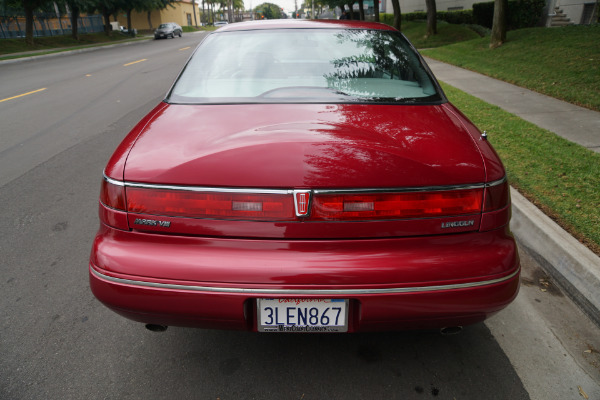 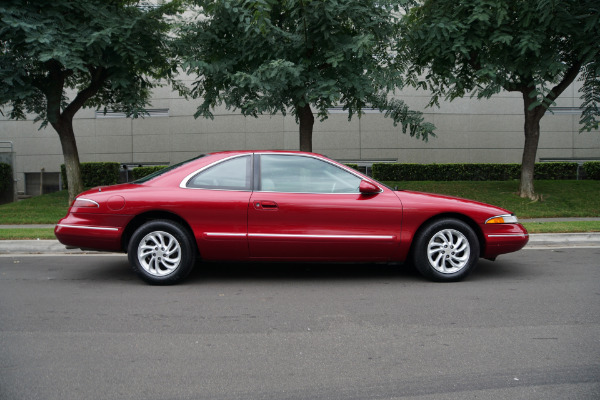 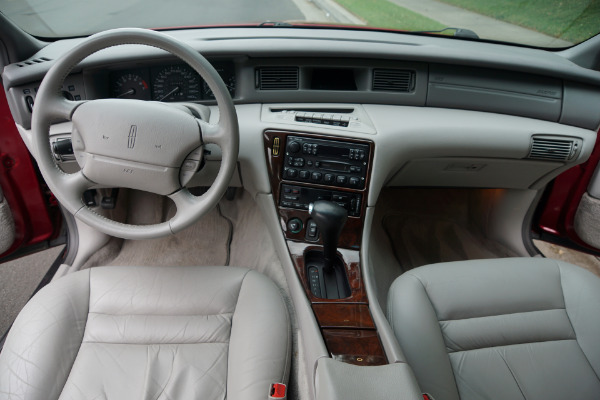 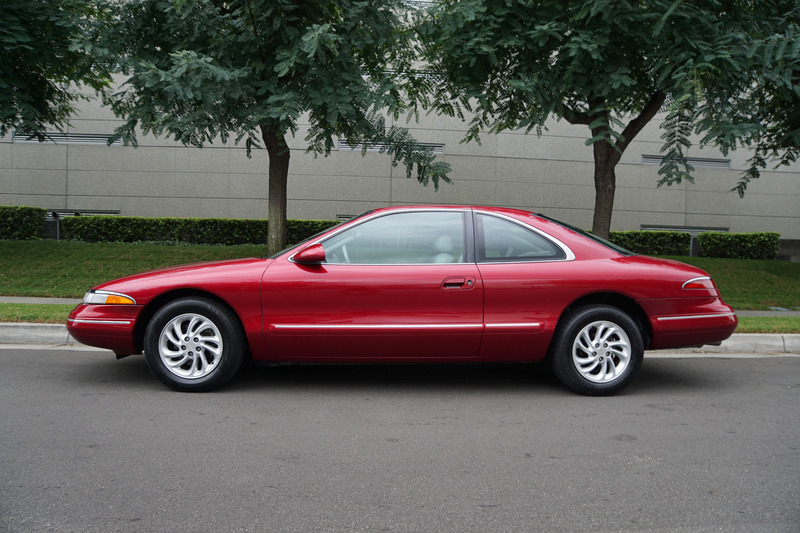 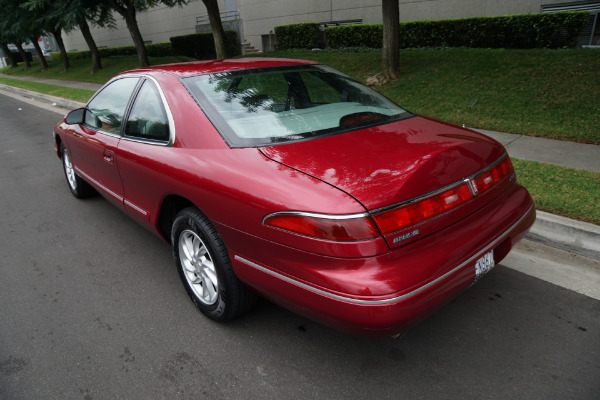 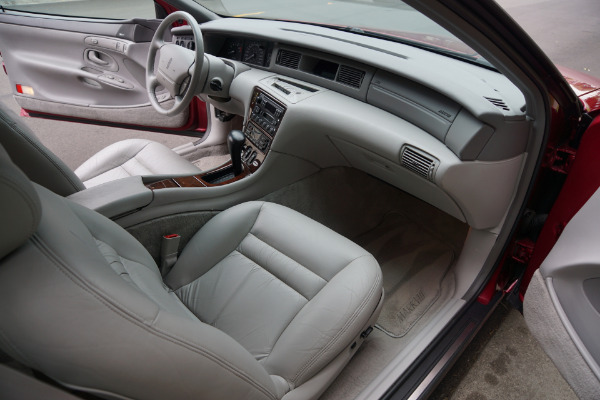 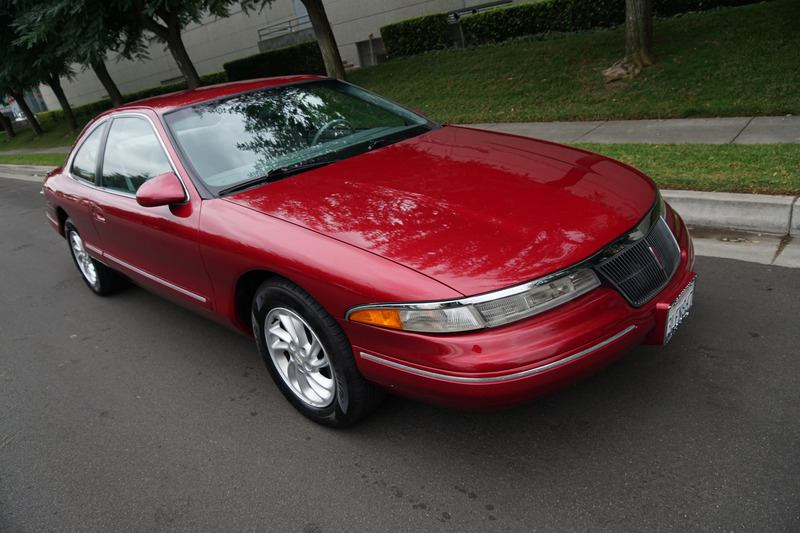 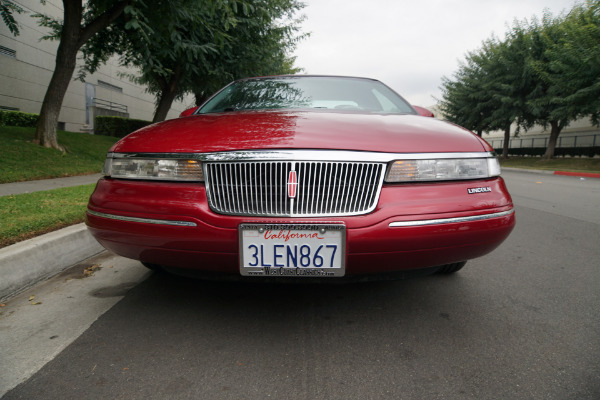 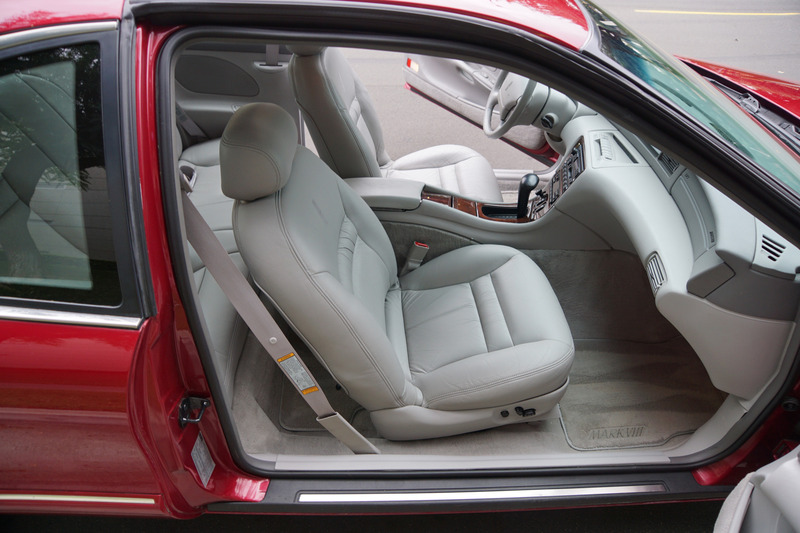 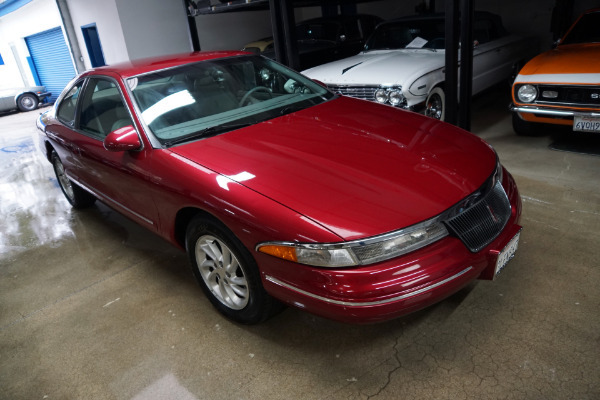 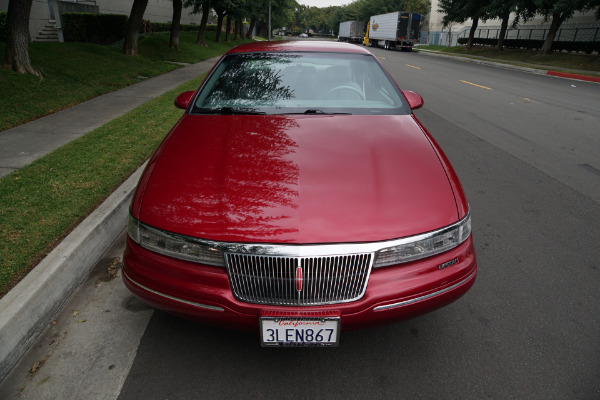 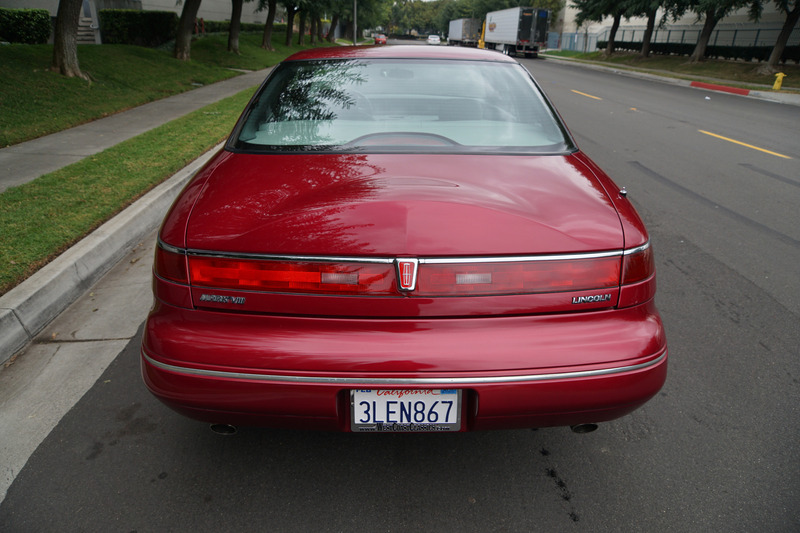 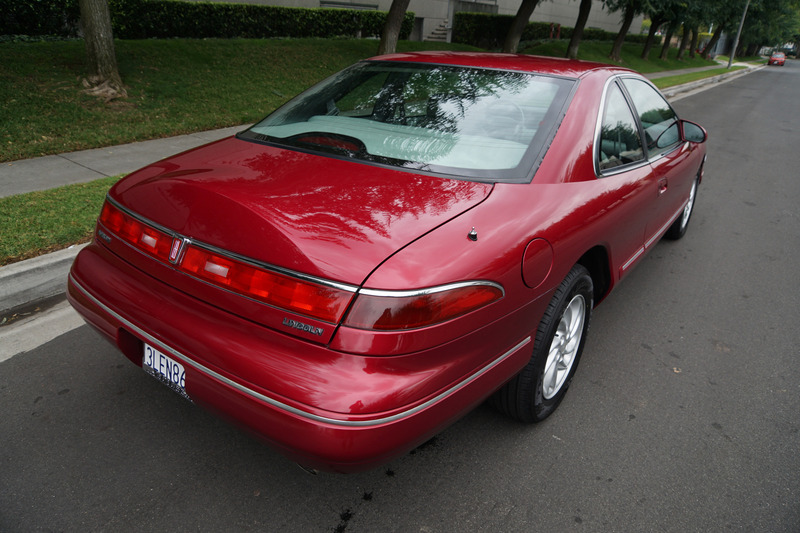 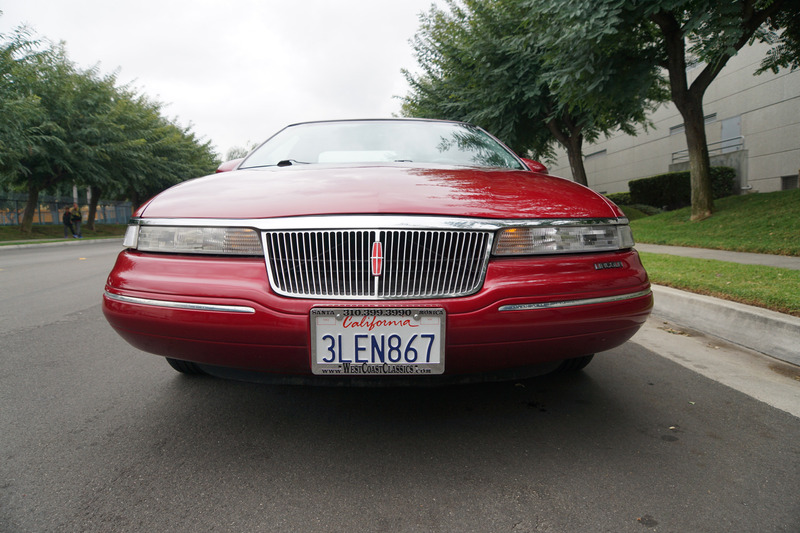 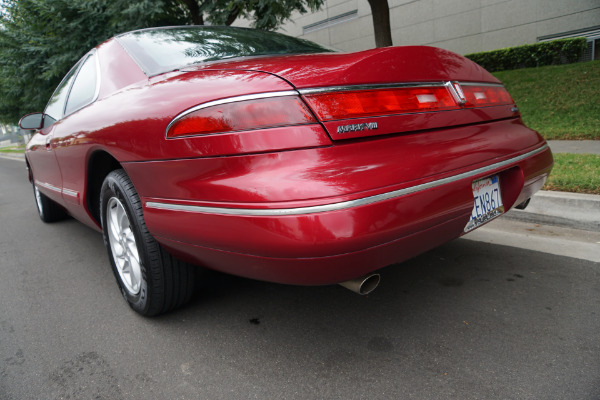 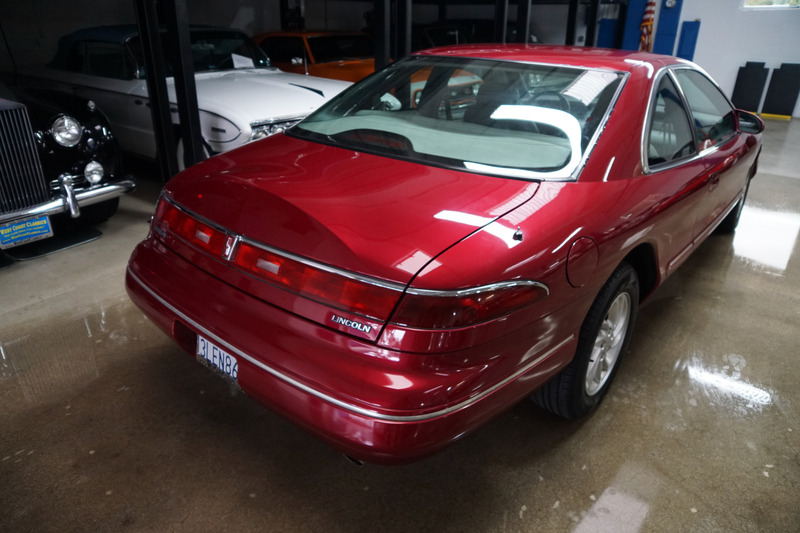 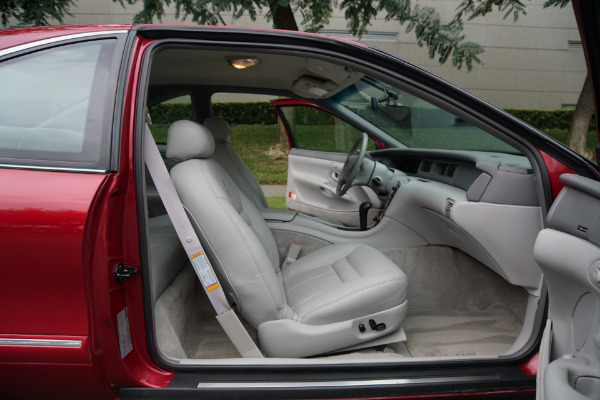 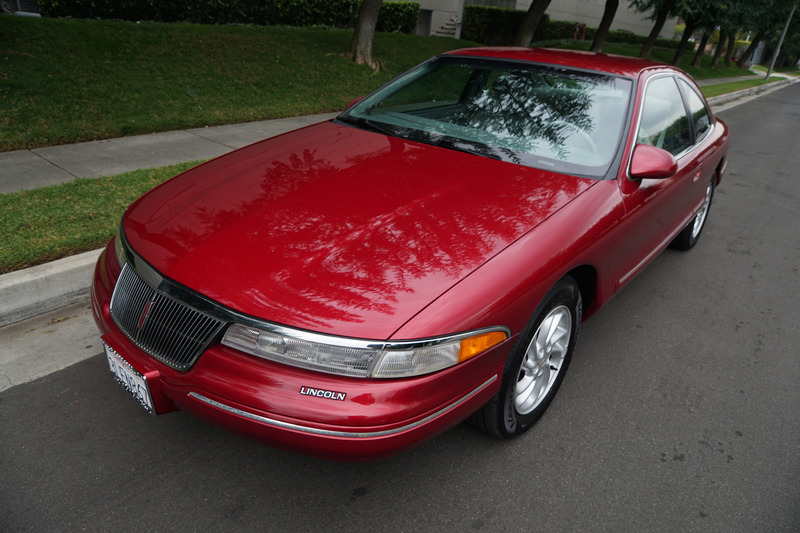 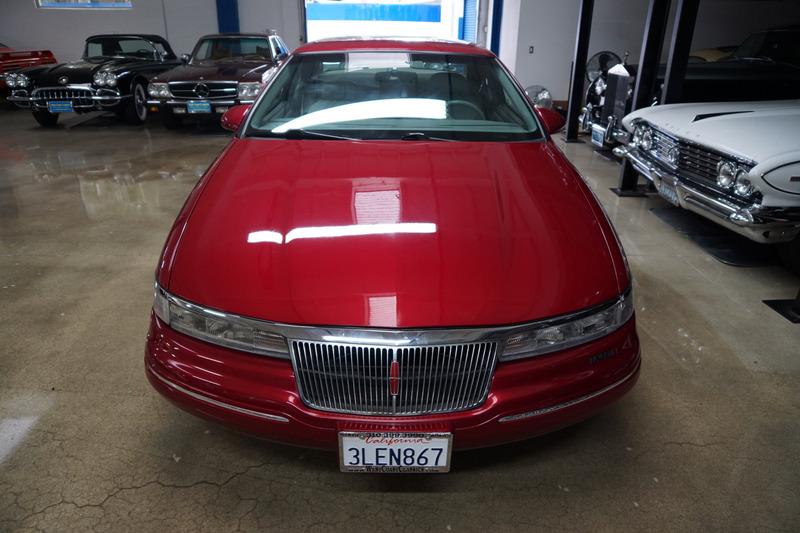 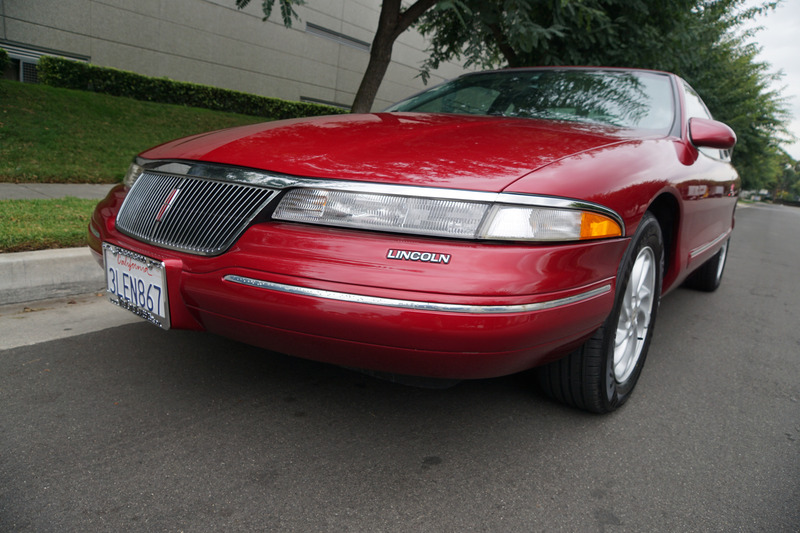 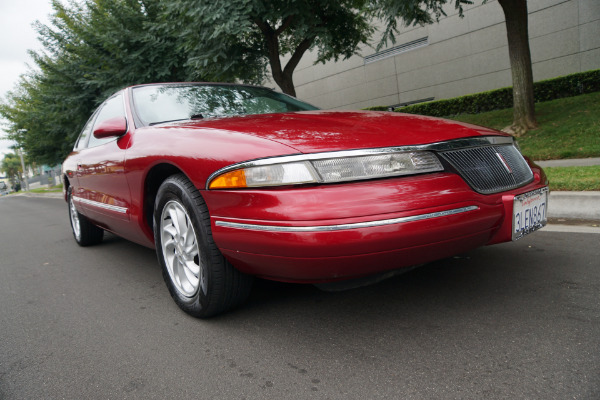 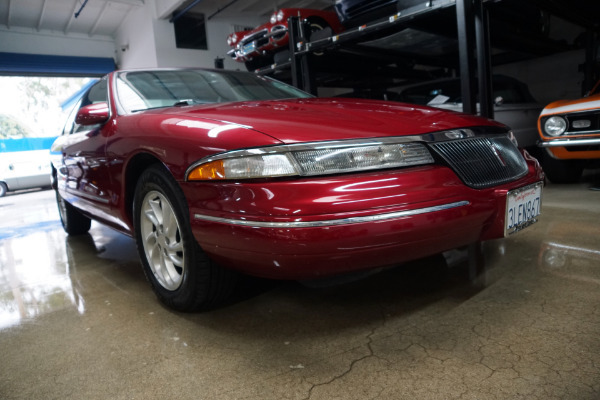 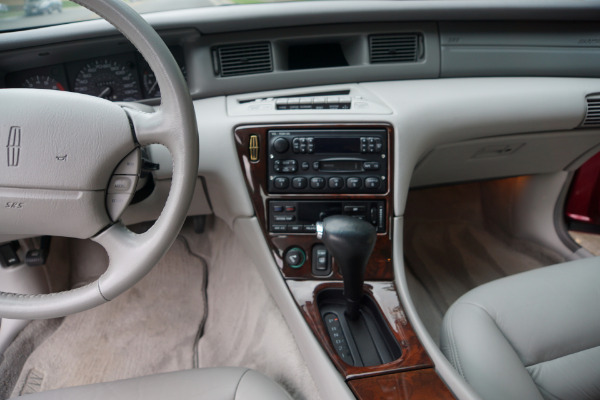 original miles and in the very rare and desirable 'Currant Red Metallic' color, as used in that 1995 selling year Lincoln brochure, with a stunning 'Light Graphite' leather interior and an increasingly recognized and appreciated American modern day classic! 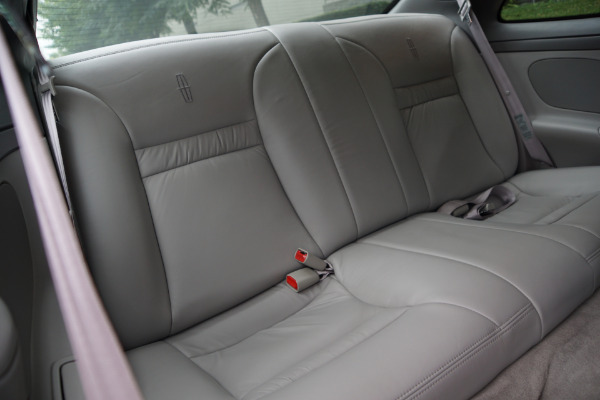 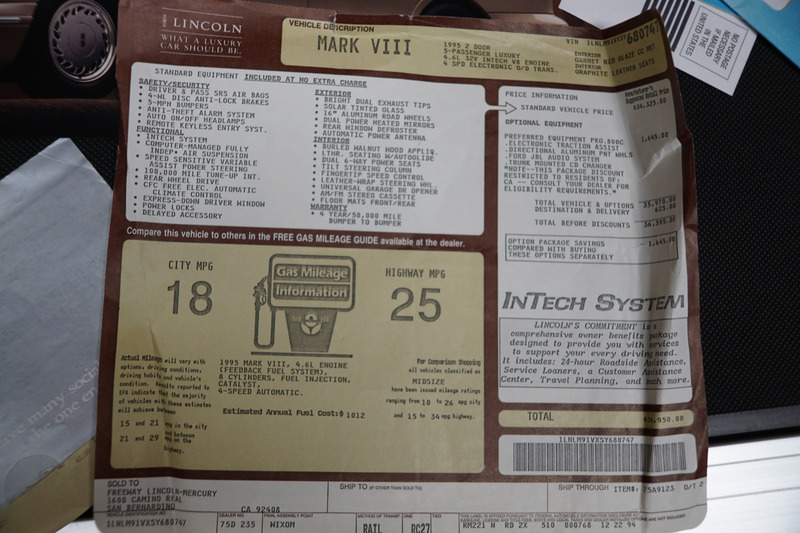 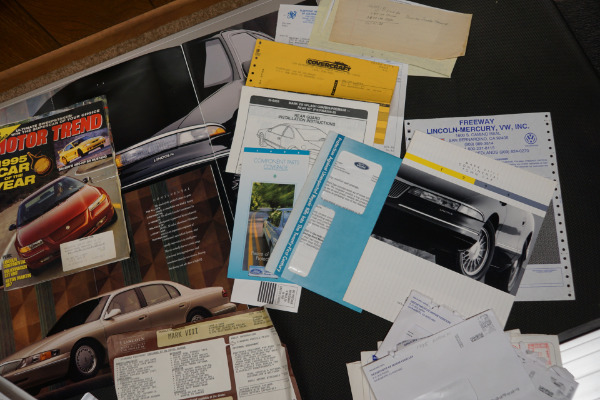 Being Ford USA's premium brand, Lincoln has always had the bias towards luxury, but the Mark VIII took it to a new level. 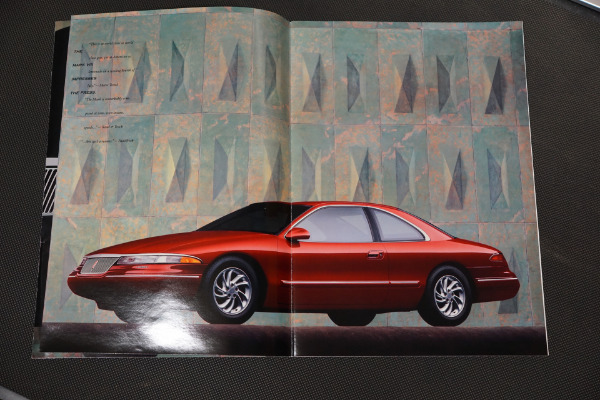 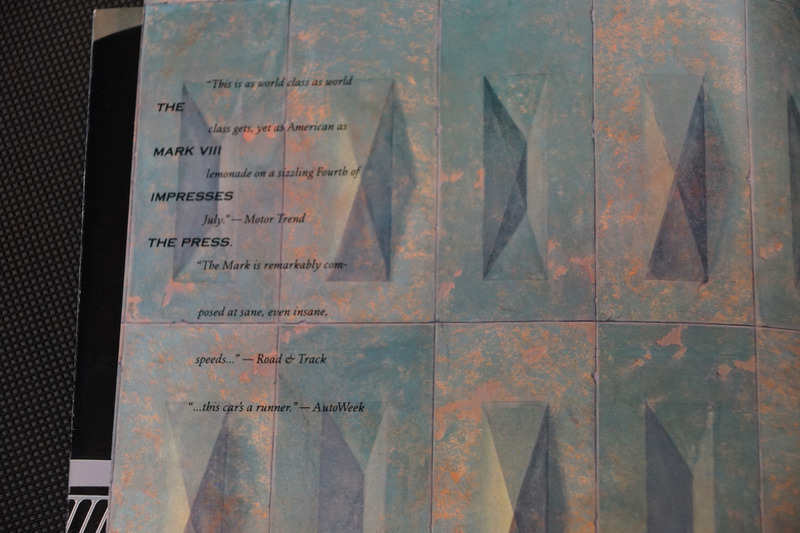 Carrying on developments made in the Mark VII the 1993 model became superior with radically modern looks in comparison with aerodynamic lines which won numerous car enthusiasts acclaims and countless new Lincoln fans, with four-wheel independent suspension with front and rear stabilizer bars and a standard computer controlled air suspension with sensors to automatically lower the ride height at high speed, enhancing the car's aerodynamic efficiency. 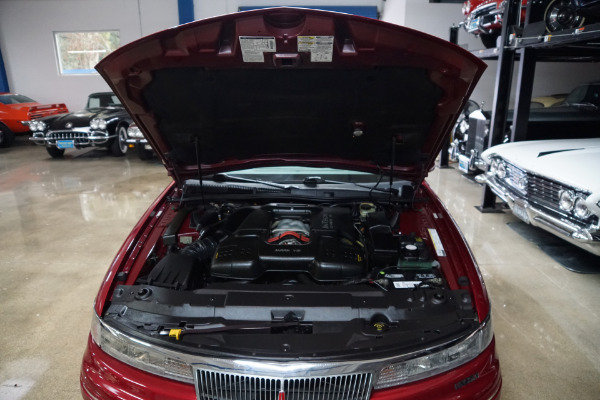 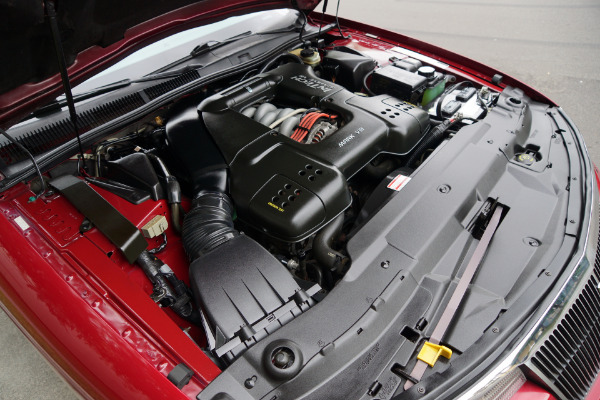 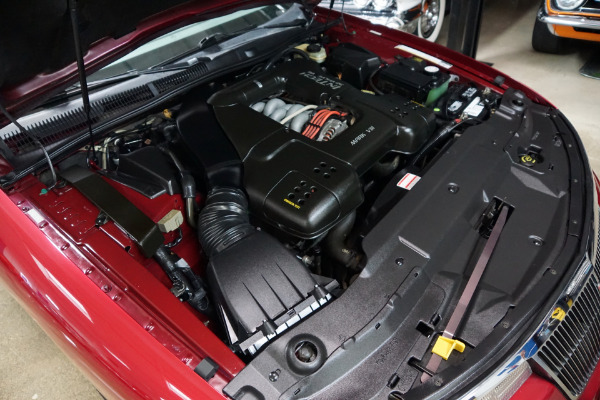 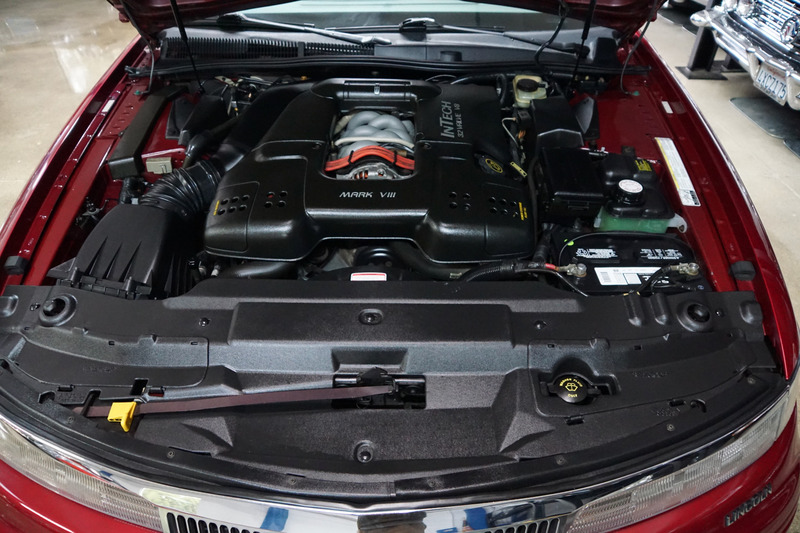 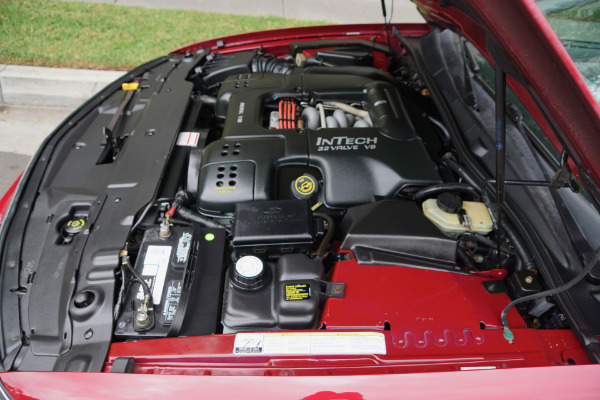 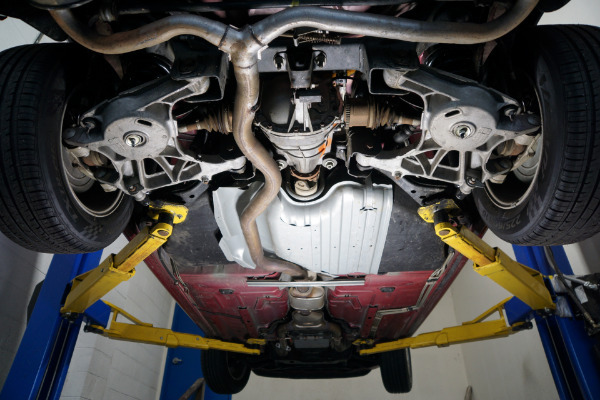 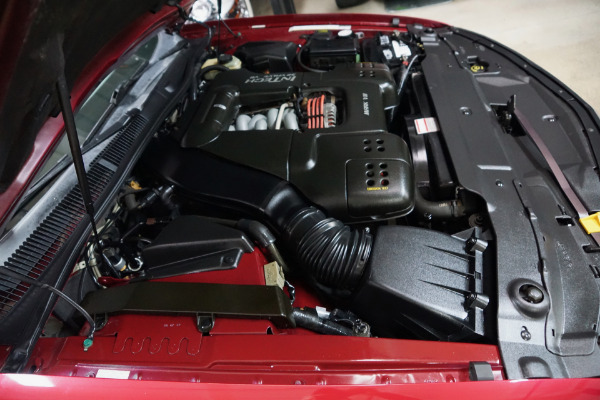 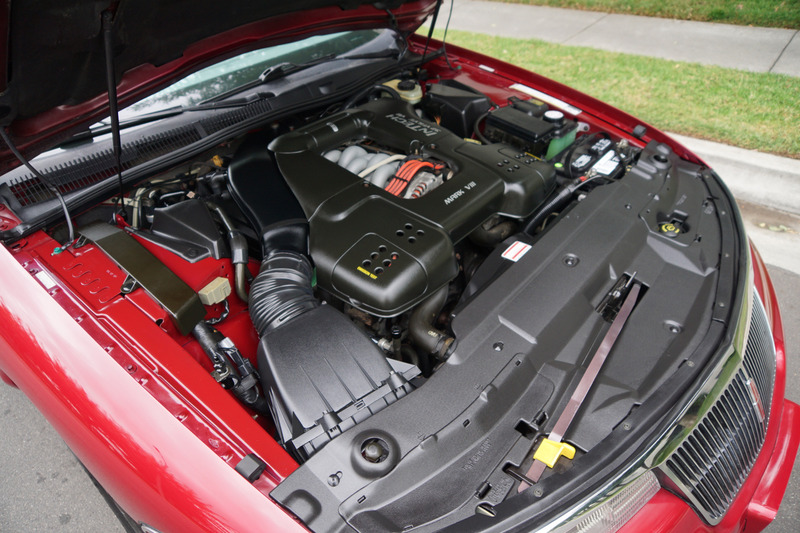 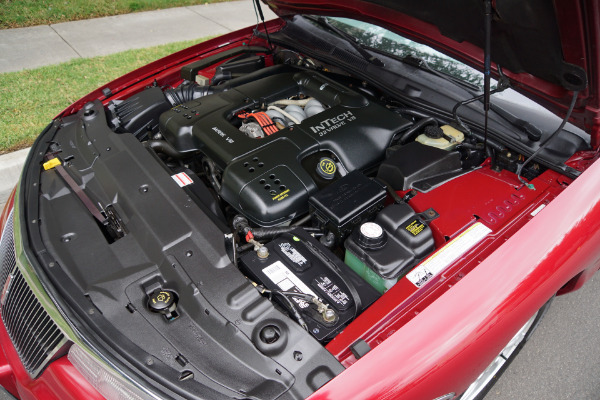 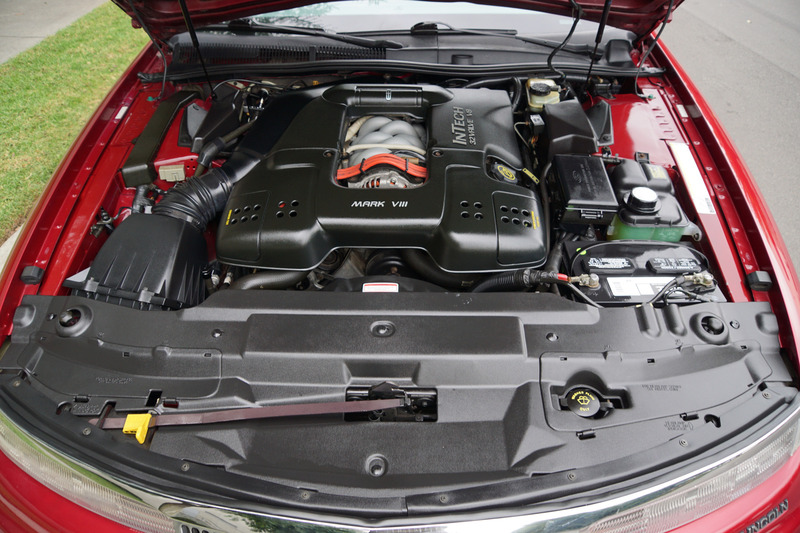 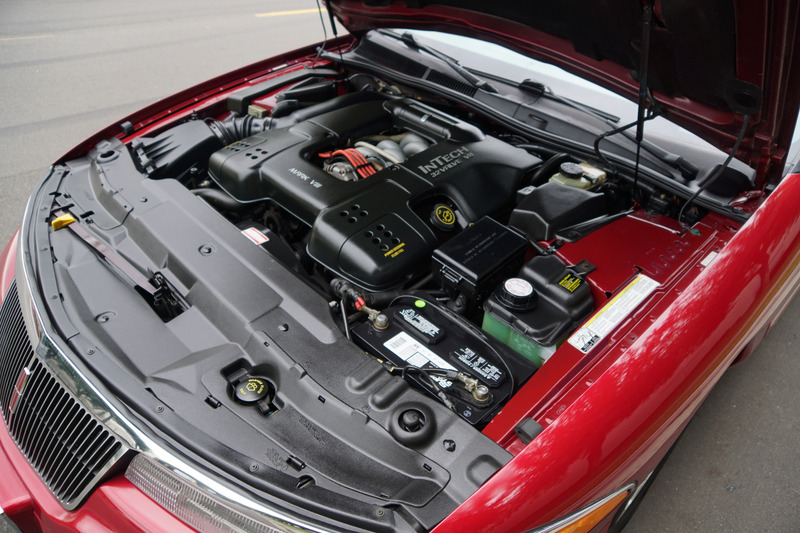 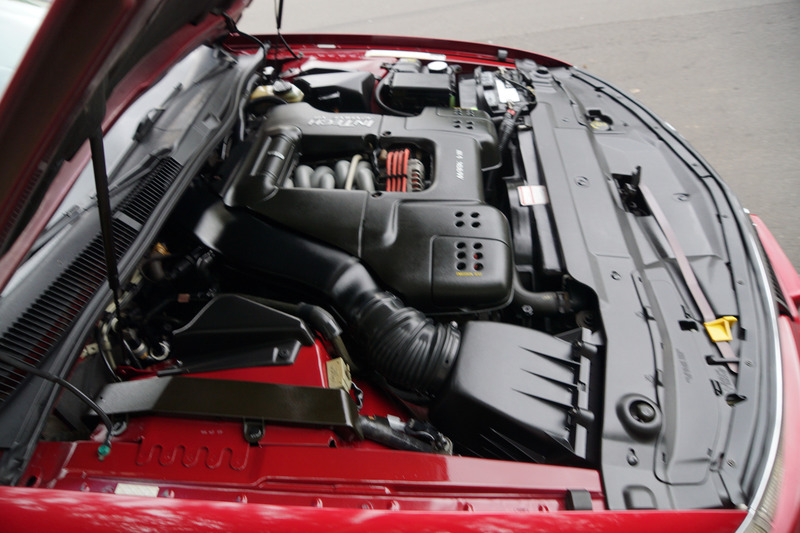 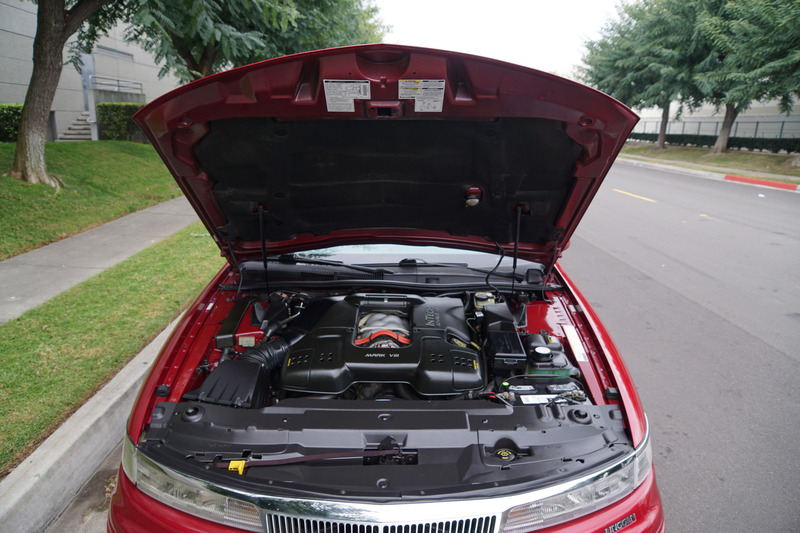 Powering the Mark VIII was an all-new, all-aluminum 4.6 L32-valve4 Cam V8 , the engine was the first of its kind as was the new 4R70W automatic overdrive transmission whose drivetrain was built to match the extraordinary power of the 4.6L 4 Cam V8 engine. 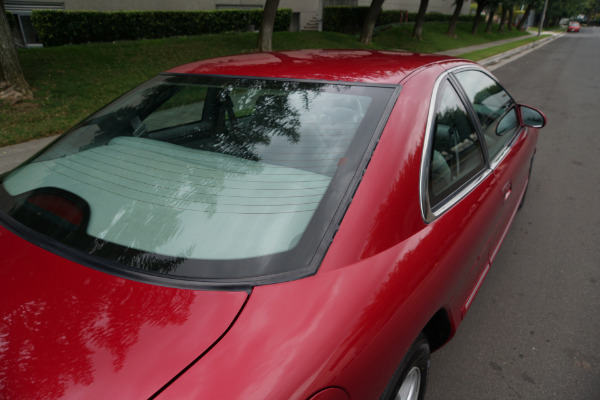 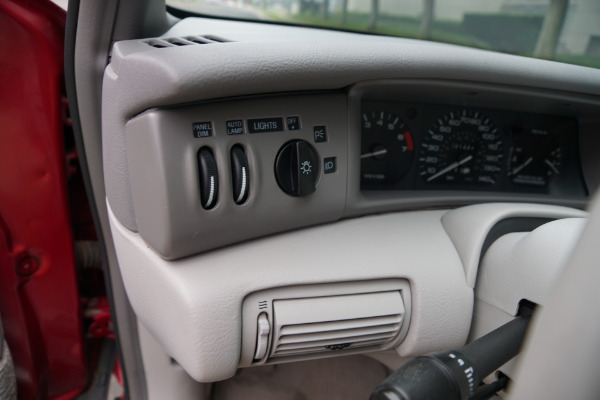 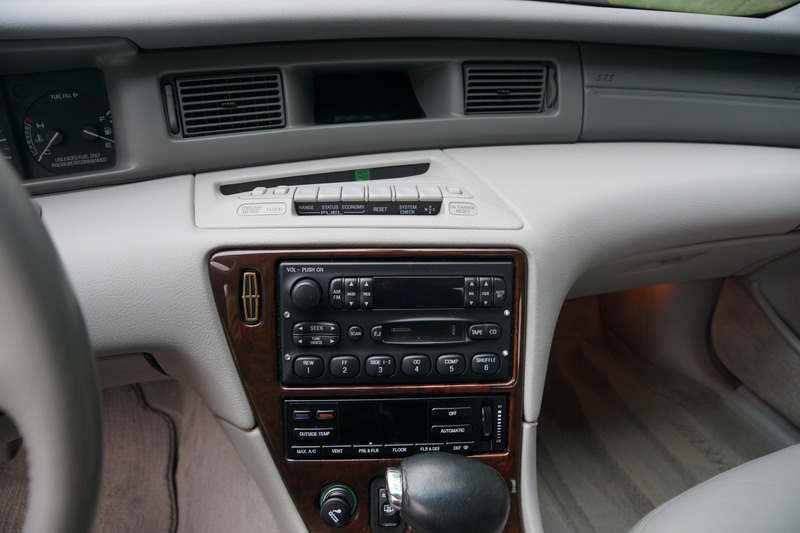 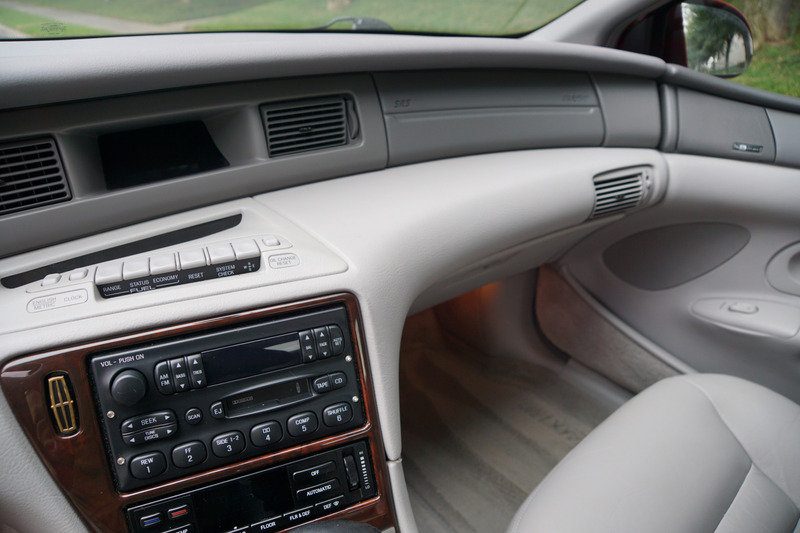 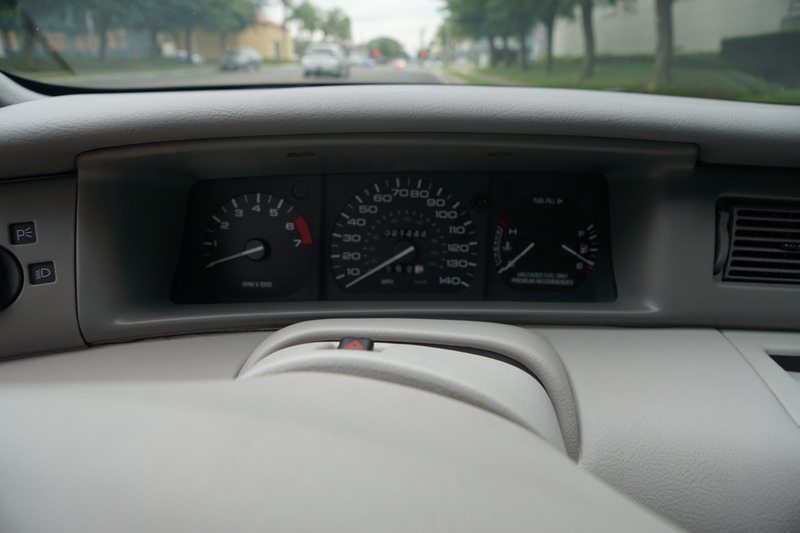 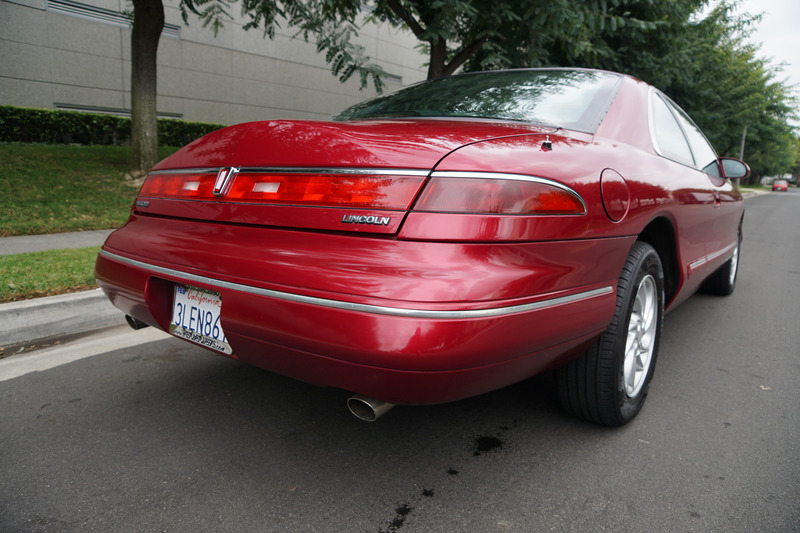 The Mark VIII uses a 140-mph speedometer, an electronic message center (giving time, compass heading, fuel efficiency, engine oil life, and various other vehicle-related warnings and information), automatic climate control, cruise control, leather seating surfaces, six-way power driver and passenger seats with power lumbar supports, a two-position memory for the power driver's seat, power door locks, heated power mirrors, power windows with a driver's-side express-down feature, illuminated keyless entry with remote, an AM/FM stereo-cassette radio, and an automatic power antenna. 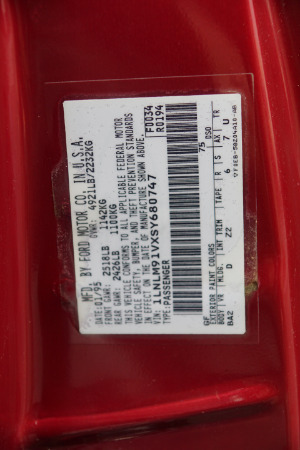 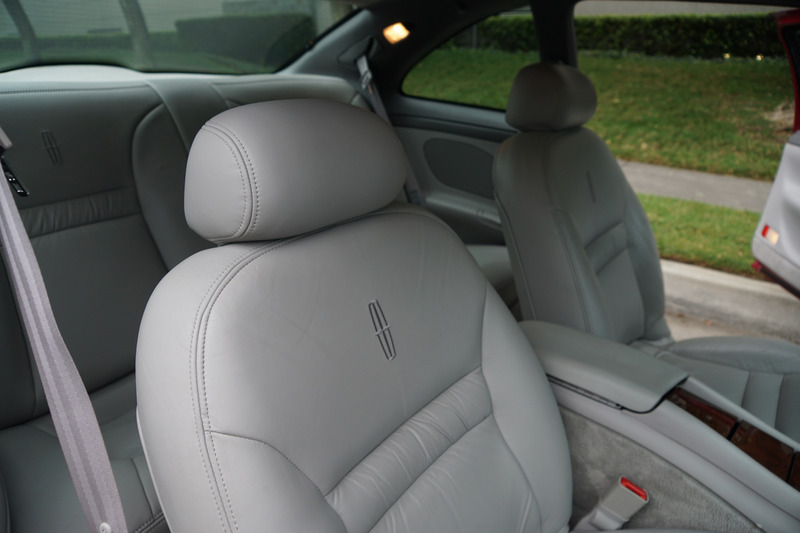 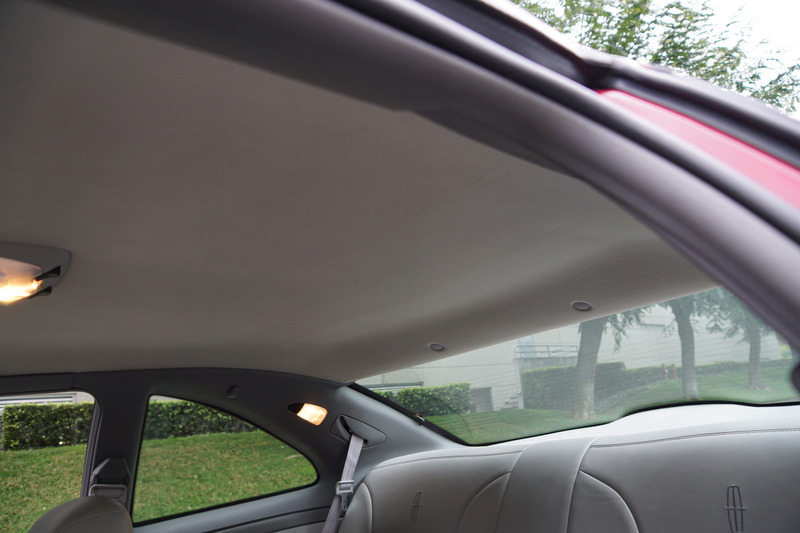 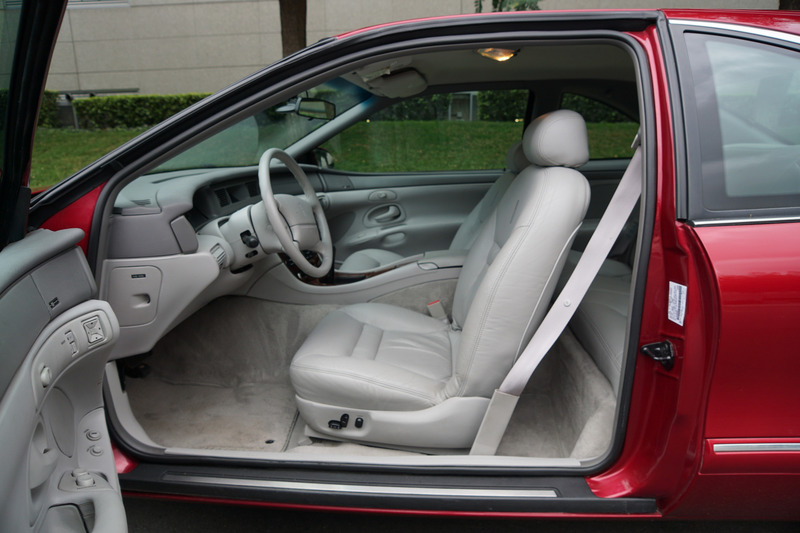 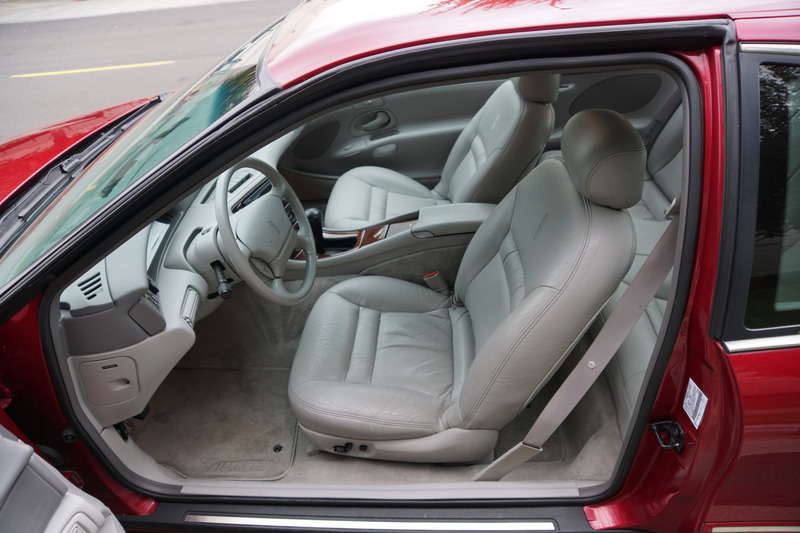 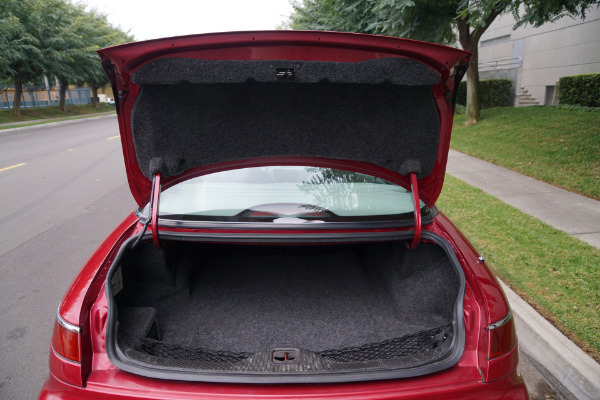 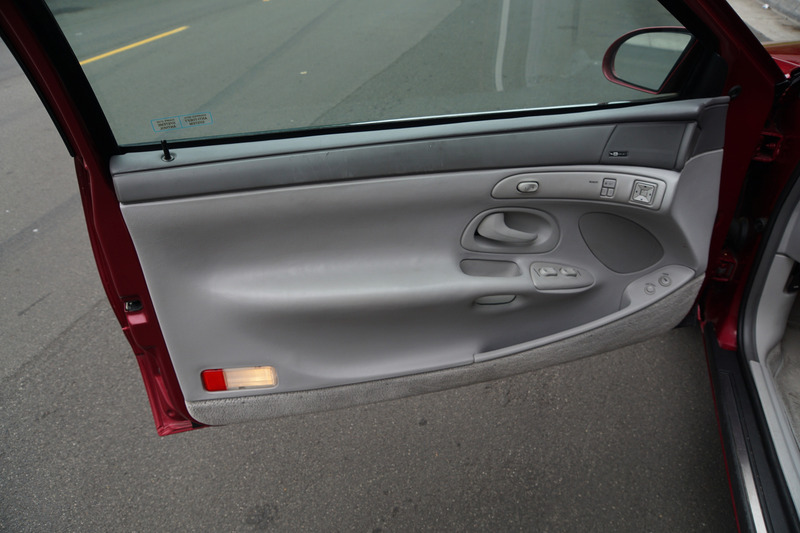 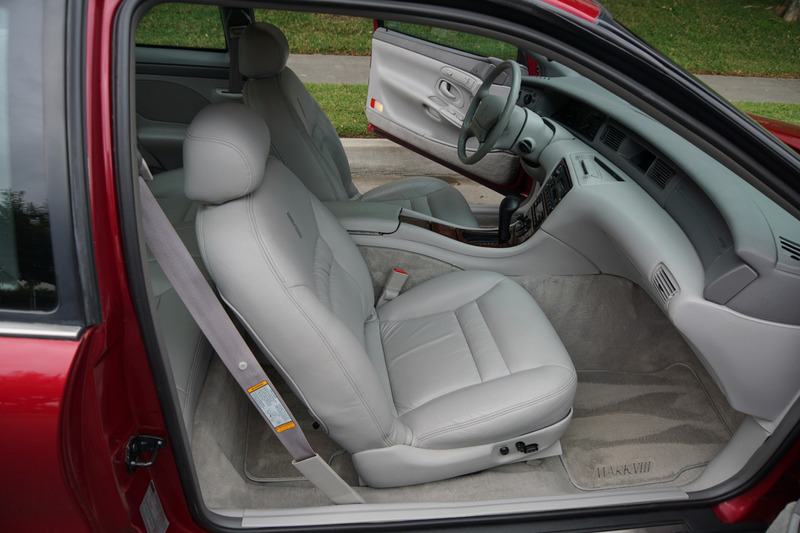 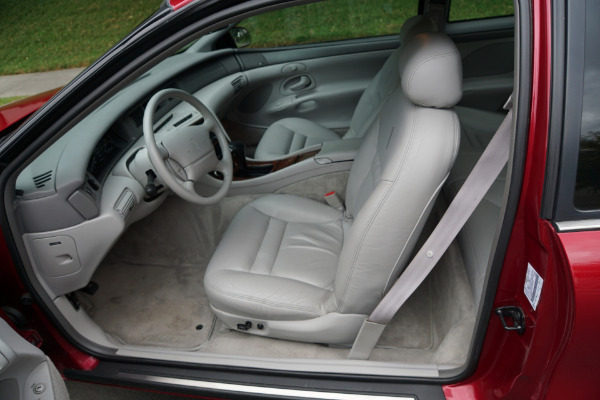 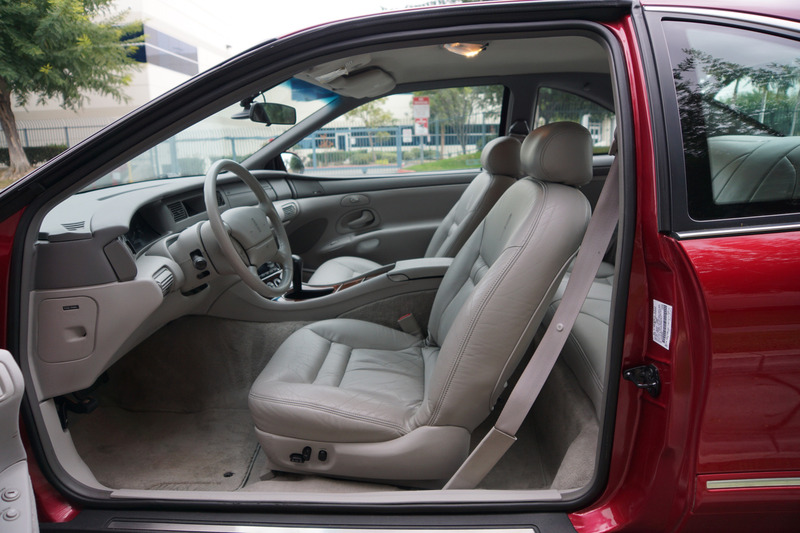 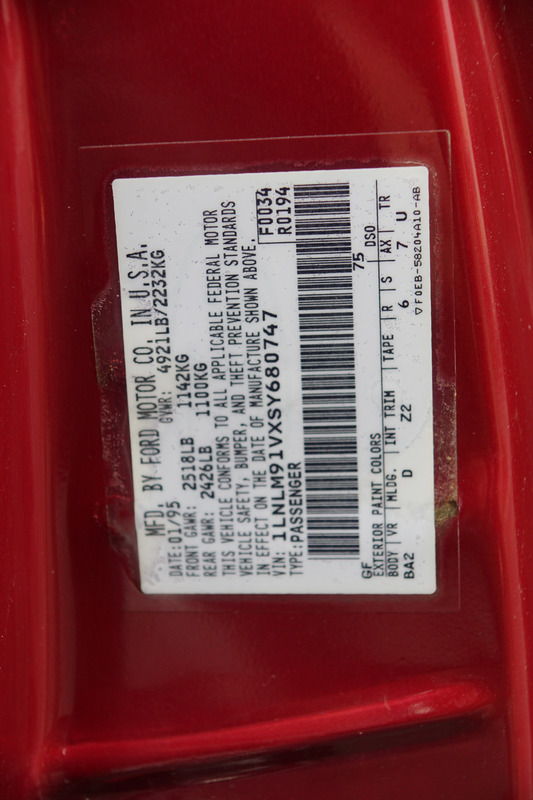 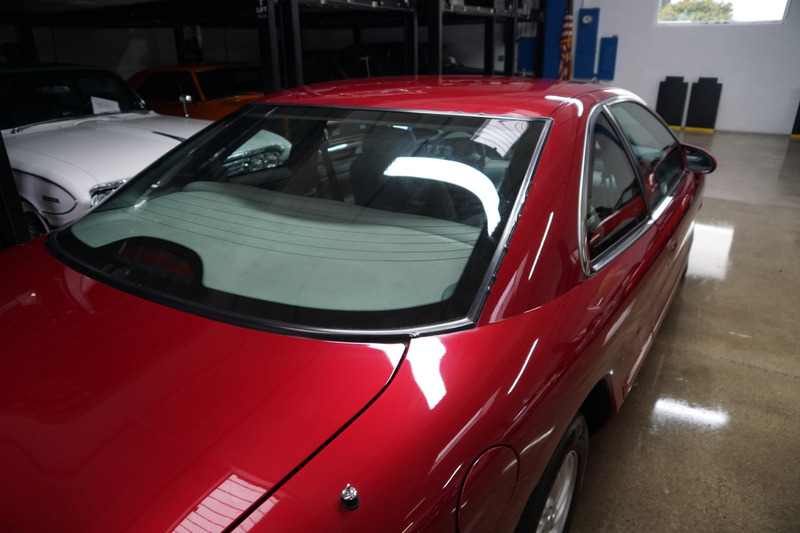 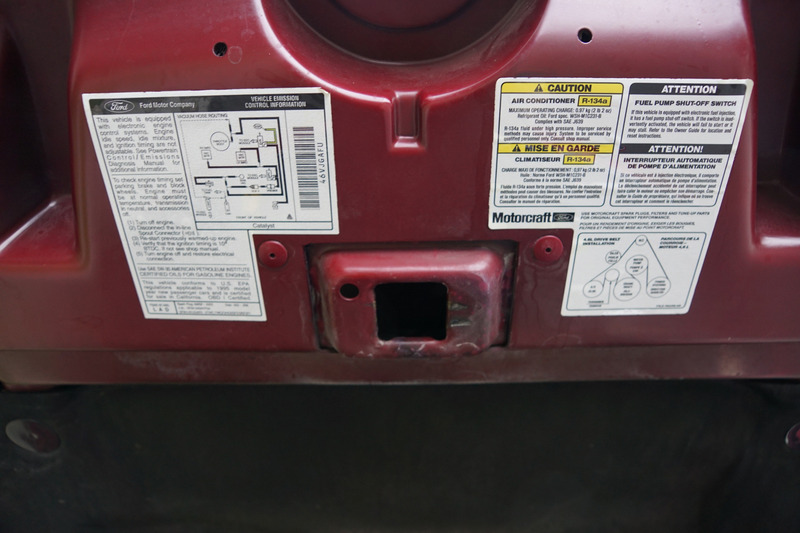 The original 'Currant Red Metallic' color factory paint is in exceptional condition as the car was obviously always garaged, as is the matching 'Light Graphite' leather interior which is in immaculate condition throughout and every option is working as it should including the ice-cold A/C. The car was sold to it's original southern California owner on 1/3/1995 at 'Freeway Lincoln Mercury' of San Bernadino, CA where it was also always primarily serviced and maintained until sold to only it's second southern California owner in late November last year. 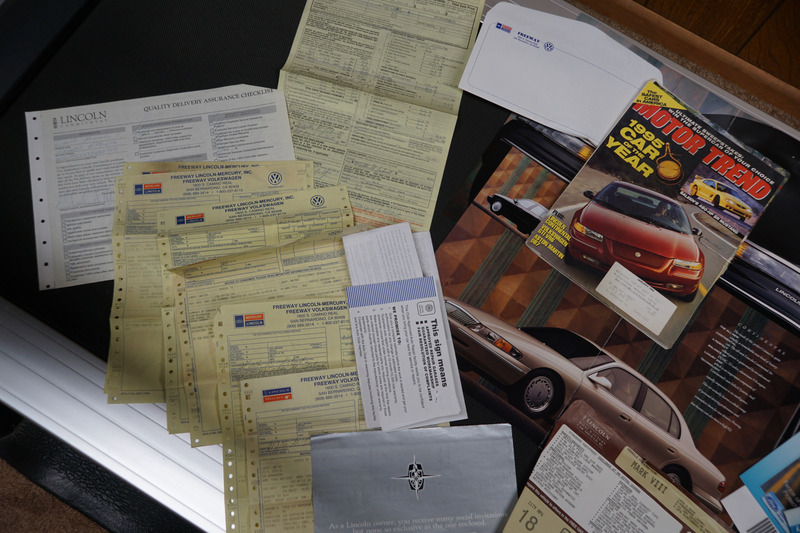 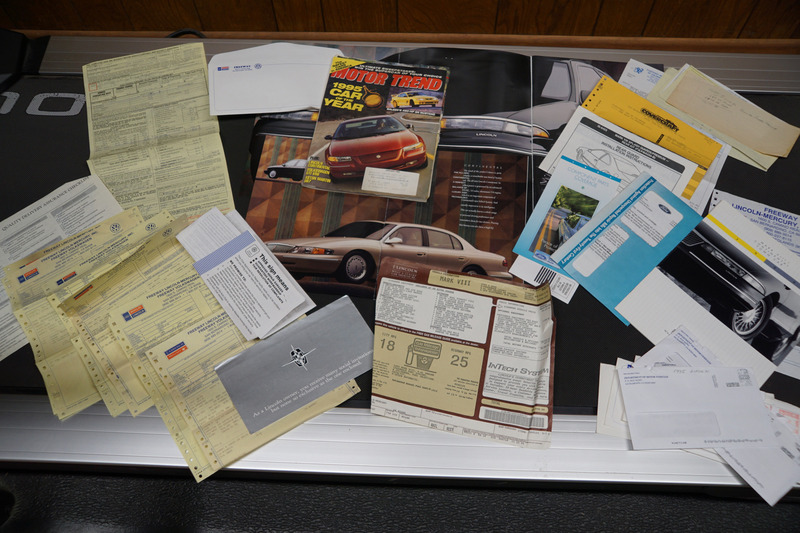 The car boasts all it's original selling dealer brochures and service records including it's original window sticker and purchase order. This particular model must be seen to be believed and driven to be fully appreciated - the car drives as good as it looks with the Mark VIII's famous smooth and luxurious ride to match it's superb performance and striking looks - no shakes or rattles and the considerable power of it's 4.6 litre 32 valve 4 Cam V8 engine purring almost imperceptibly under the hood! 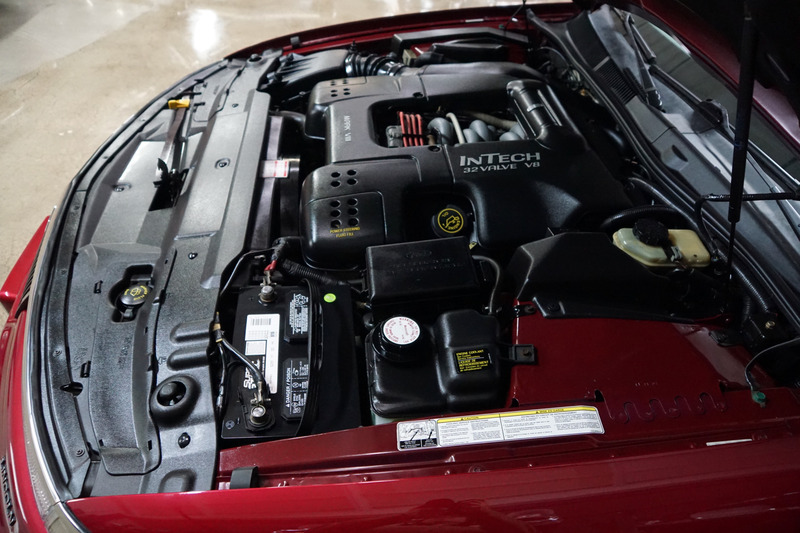 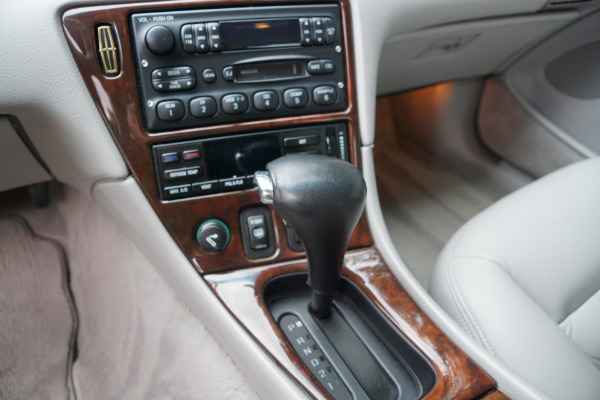 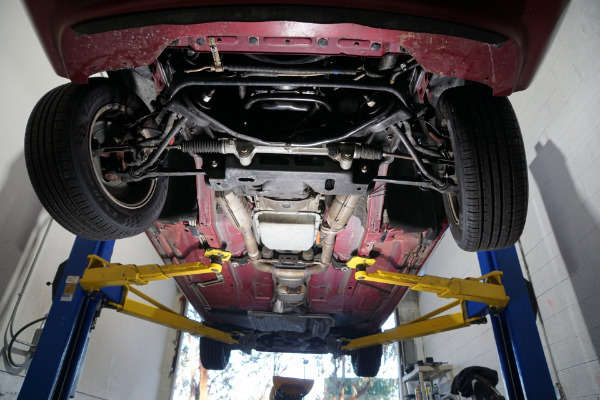 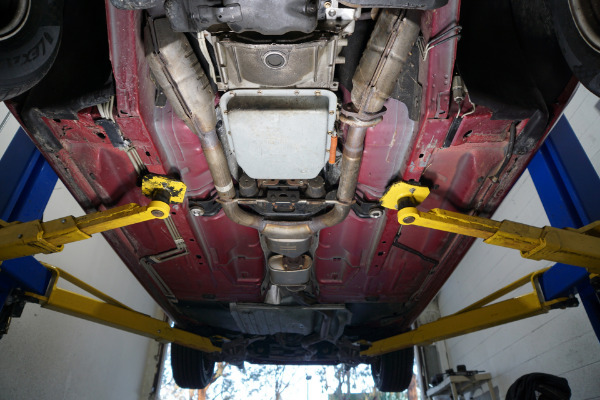 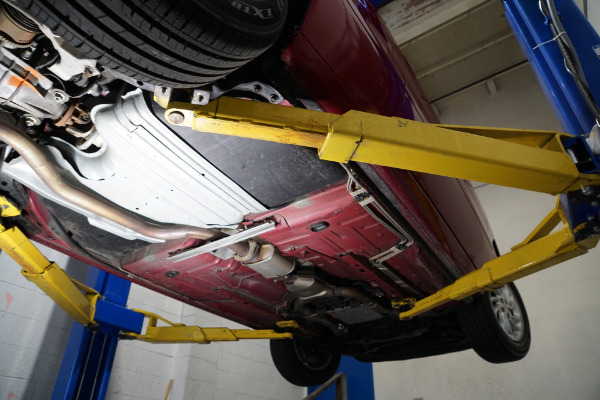 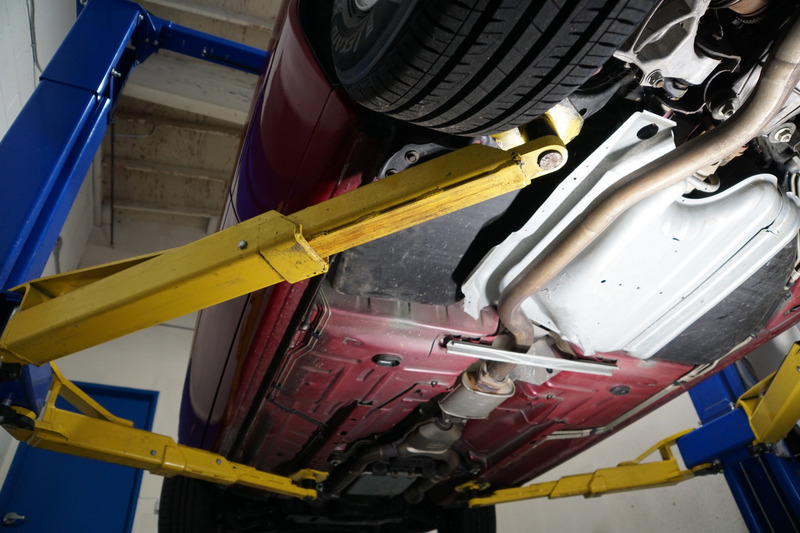 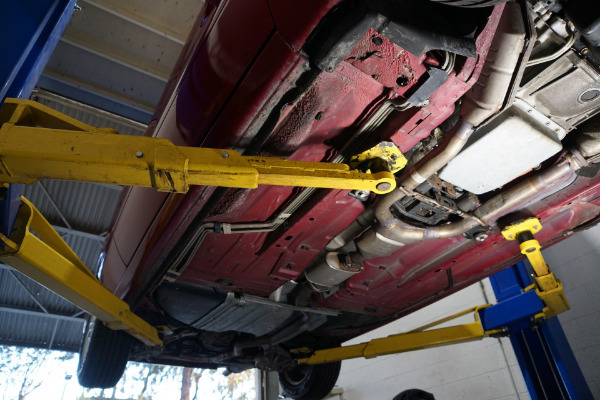 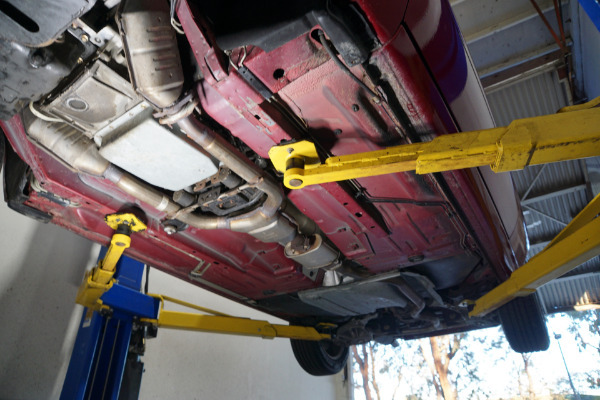 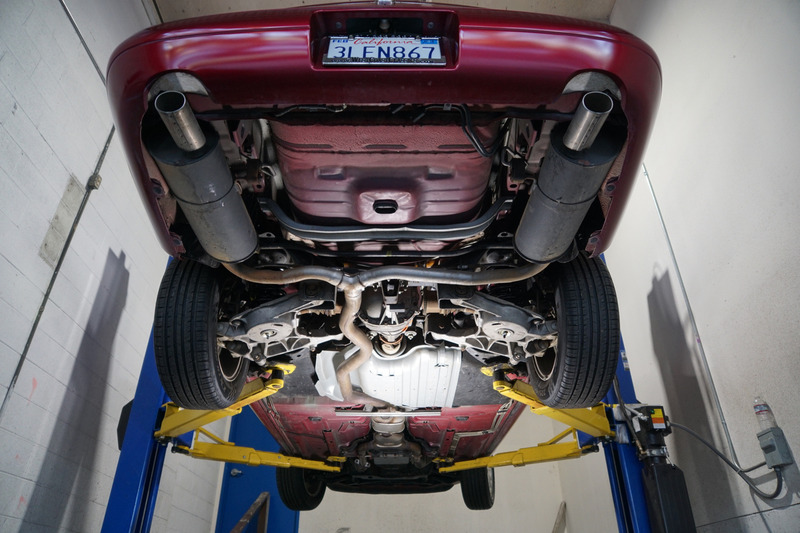 The engine is extremely strong and responsive with no oil leaks, the transmission shifts smoothly through the gears and the temperature always remains cool. 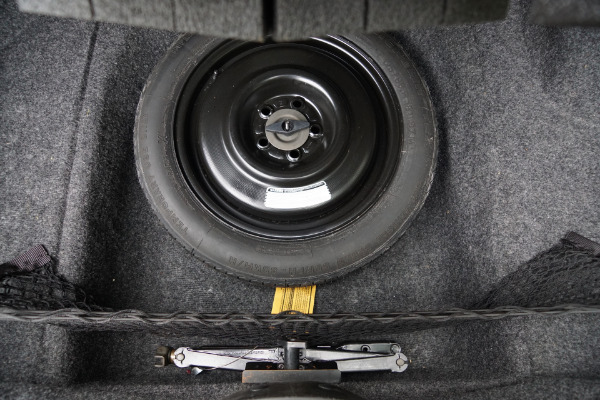 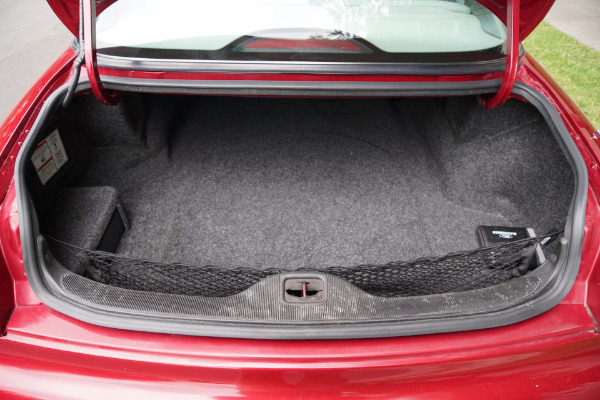 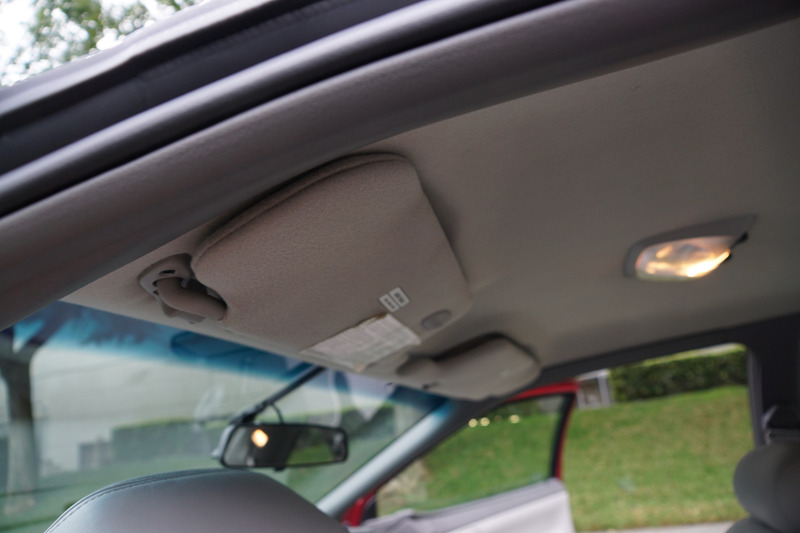 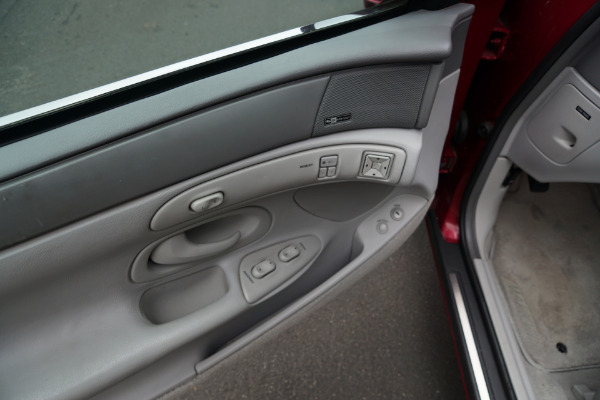 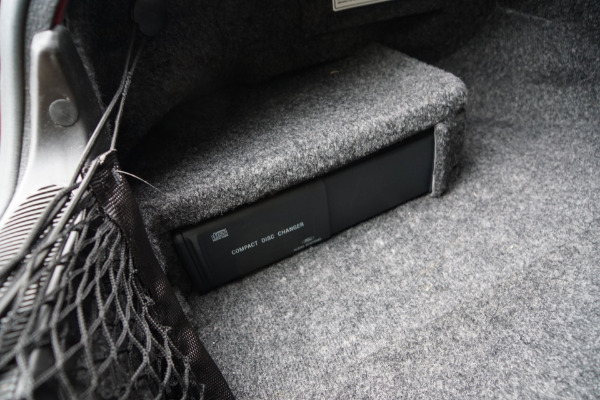 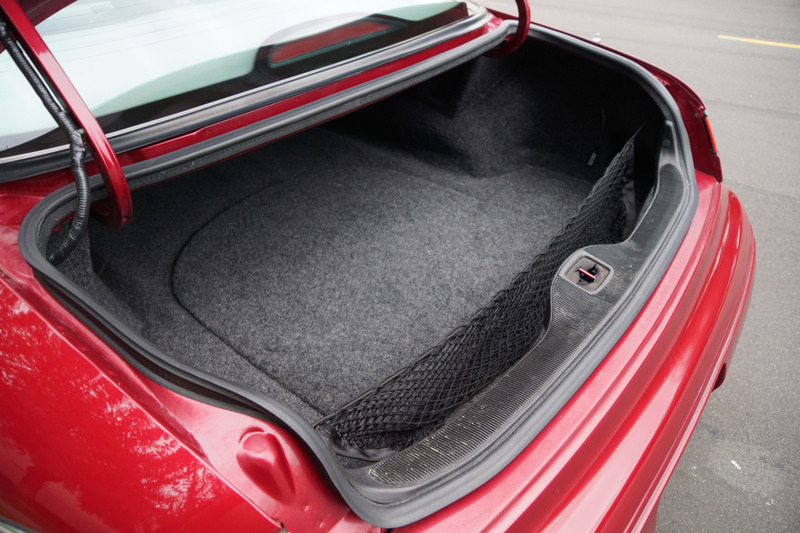 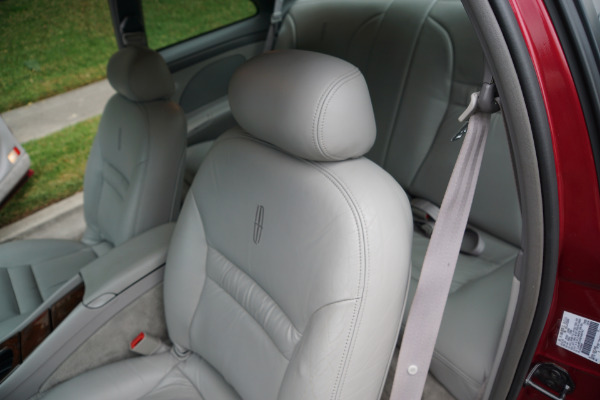 Drives virtually like a new car - you could hardly tell the difference! 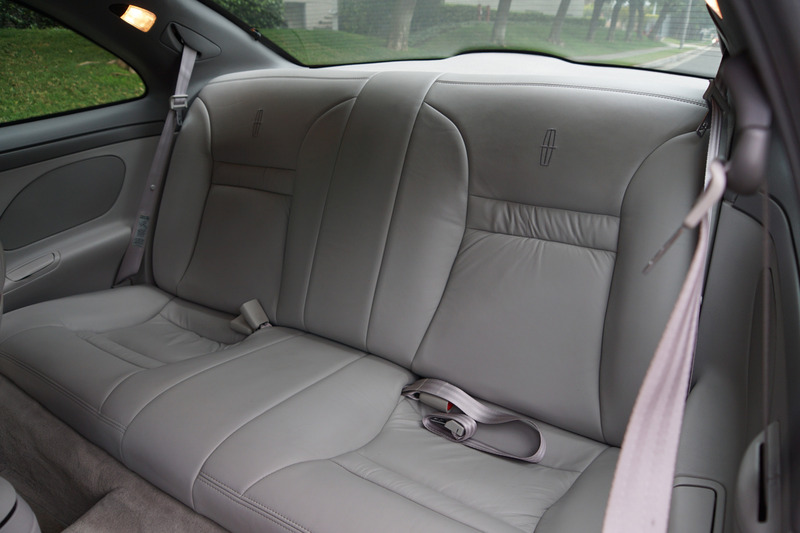 This is one very unique and ridiculously spacious and comfortable car with no rivals in it's 2 Door Coupe class and the top-of-the-line model with a striking all 'Ivory' color - the real deal in a grand touring or long distance cruising coupe for ultimate luxury and comfort and this must surely be one of the finest and lowest mileage example's of this legendary Lincoln Mark VIII Coupe with only 21K original miles available anywhere!